So here I am. My very own blog. And all for what. Adventure. I was introduced to blogging by my brother Terence, after much talking about my dreams and all, he convinced me that I should start writing and showing to the world where I’m been and also what I’ve climbed. So here I am. This was me. Young and brittle. But looking for an experience unlike no other. 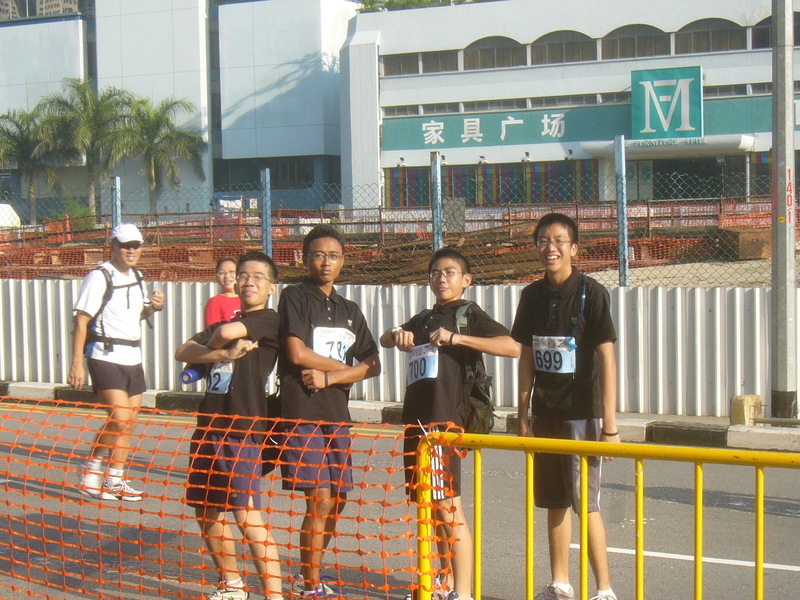 The Big Walk 2004 - Joined with Raden, Benjamin and Malcolm during my National Cadet Corps Days and always had a sense of competition within me. I always wanted to prove something and this wasn't it. I was a member of the National Cadet Corps also an active Student Councillor during my Secondary School days in Yishun Town Sec. But I guess that wasn’t enough. I was looking for more. 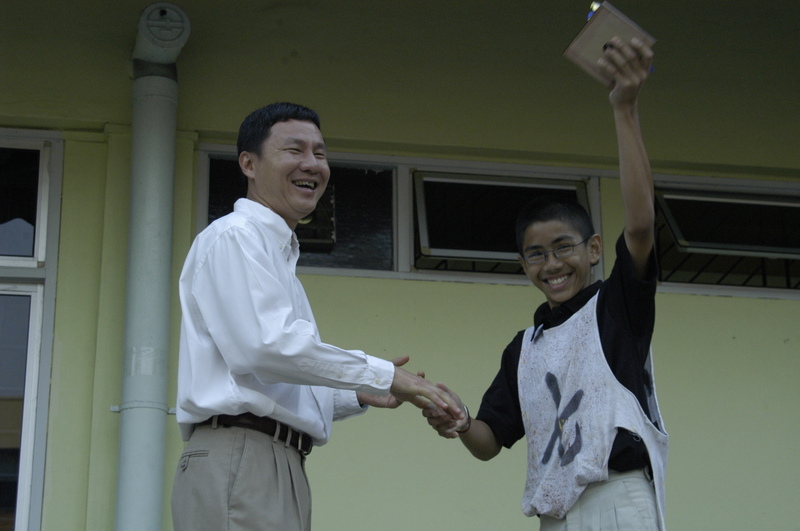 Won the Best Leader Award for the secondary three camp and receiving the prize from Mr Tan Teck Hock, my favorite Principal. Then in Secondary Four, I had the chance to go for a school-initiated Mount Kinabalu trip. I jumped at the opportunity. And guessed what. I loved it. The cold breeze on my face, the numbness within my fingers and cold water when it touched my lips. It was such a different experience that I felt that I needed to repeat. And finally, there was the scenery at the summit. My Picture at the summit with Jia Jian and Wei Xiang. I was still wearing my school pants at the summit because I forgot to bring my trekking trousers. So, lets just say after that trip to Kinabalu, I decided that adventure was something that I liked and maybe it was worth exploring. After my Os, I got 12 points for my L1R4. I could either go the J.C way or there was also the Polytechnic way. I considered going to Innova J.C, Architecture at Singapore Polytechnic and the least likeliest of choices, a pioneer Diploma in Outdoor and Adventure at Republic Polytechnic. Well, I gave it some thought and then in my first of twelve choices, I chose Adventure. Honestly if you asked me, nobody with my results would go there and waste their future in such a new diploma right? But it never occured to me. Maybe I was still blinded by that Kinabalu Experience but like what others have said, the only way to see if things work out is to jump in with both feet. Trekking singapore during the wee hours of the night. 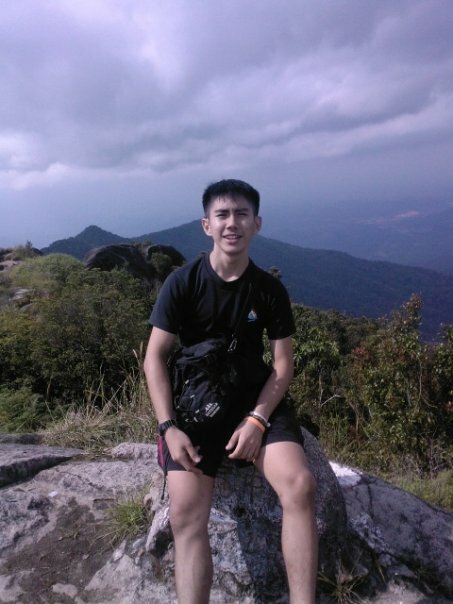 Joined the trekking club which did treks to Malaysia and Indonesia during my first year of school in Republic Polytechnic. Atop Gunung Datuk In Johor Malaysia. Atop Gunung Ledang aka Mount Ophir 2007. Did the climb once in 2004 in my NCC days. In the past, it was possible to do the climb by resting and camping by the river. After a singaporean teacher died because a deadfall crushed him, visitors were banned from camping by the sites. So I did the climb within a day with some of my rock-climbing friends. 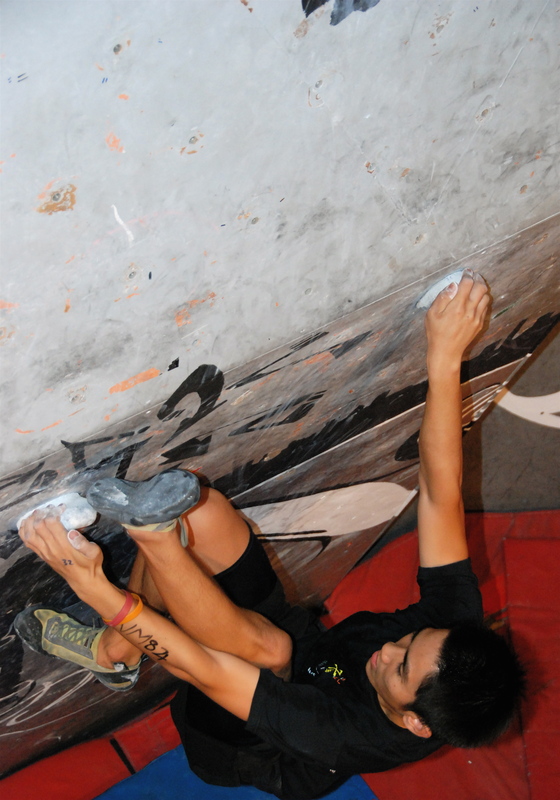 Also joined the rock-climbing club in Republic Polytechnic. Fell in love with bouldering. Loved how technical everything seemed and precision was key. If done well, bouldering was like dancing on the wall. 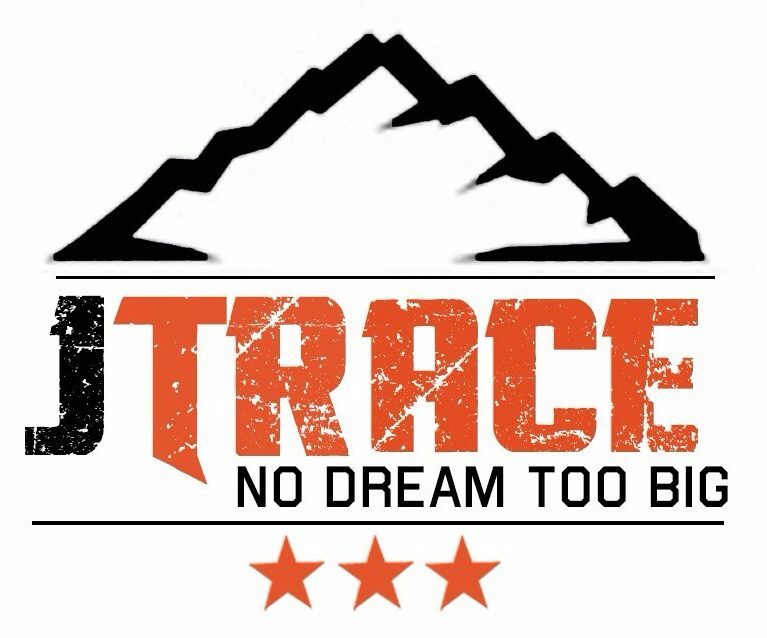 In addition to all the climbing and trekking that I immersed myself into, I also did adventure races which really was pretty exhilarating. Tired though with all the cycling, running, navigation and rock-climbing. But one hell of an experience. Here I am as the lead runner for my school's own Avontour De Republic Race. I'm mounting the camera on my head so as to record all parts of the race. 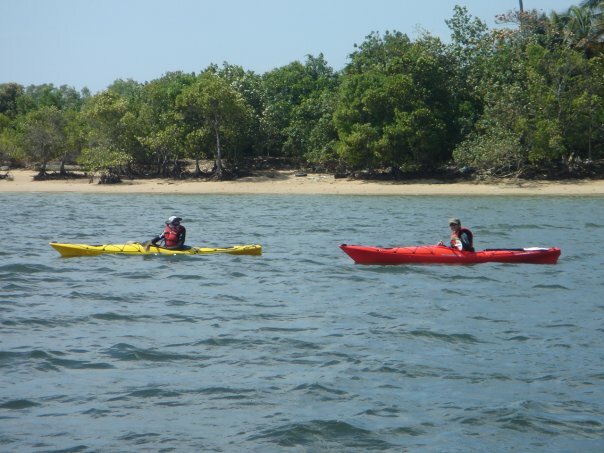 My partners for the race are Farid and Geraldine who are the first two fellows on the left side of the picture. 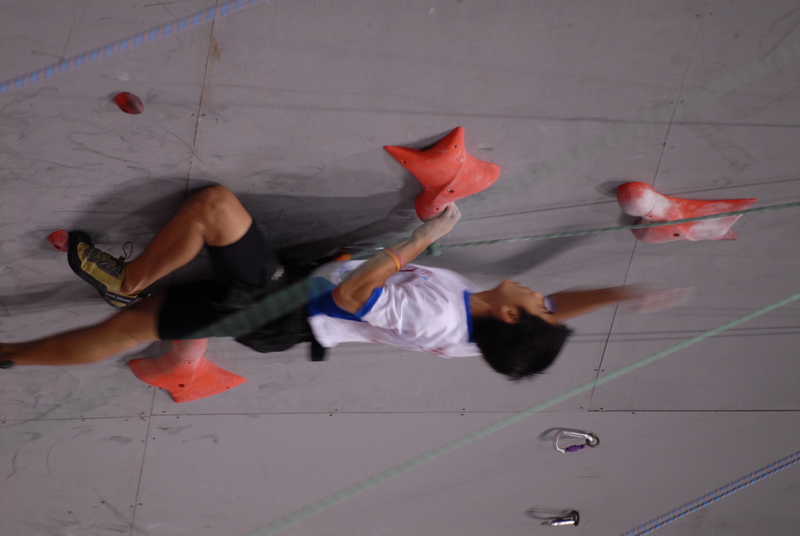 Here I am in a Speed category for the National Singapore Sport Climbing Competition. My Graduation and well, I was proud and happy to graduate with a Diploma of 3.6 Grade Point Average. Managed to get into NTU. And I'm still in love with the outdoors, so I'm holding on to a Karabiner. So, I was done with school. Whats next? What every Singaporean Son has to go through. National Service. Spent a long time in there and I would have to say, it wasn’t easy. 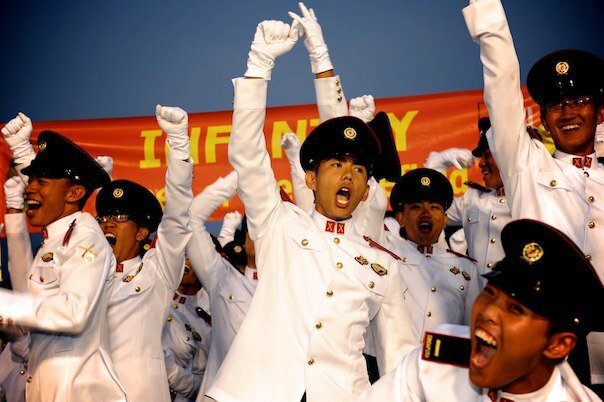 Skipping many ranks from a recruit in Tekong to finally…. My Commissioning Night. 11.07.11. 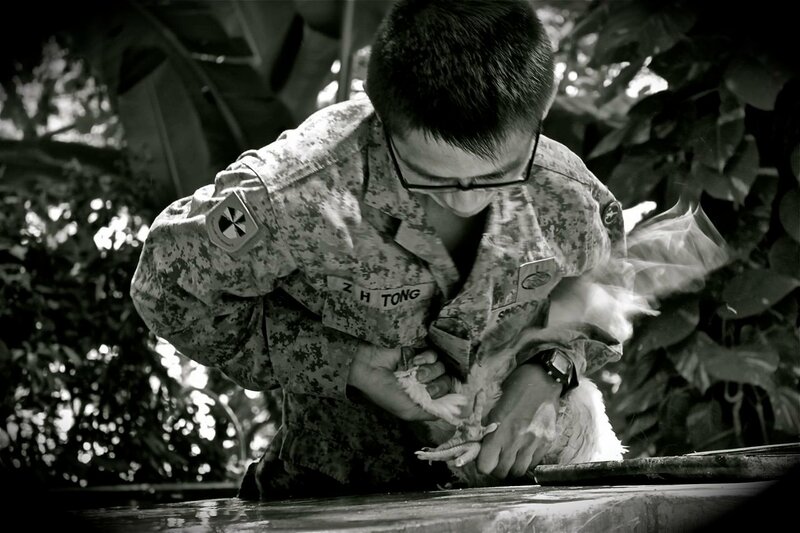 I am an Officer of the Singapore Armed Forces. My duty is to lead, to excel and to overcome. After Commissioning, I was posted to Pasir Laba Camp as a Recce Officer Instructor. Me, Killing a Live Chicken Game. Wasn't easy and blood was splattering everywhere. But one twist and one pull was all that was required. Interesting experience. So thats my life till now. I’m 21 years of age and this is me. For now, you have seen the normal side of me, the studious adventurous side of me. But I’ve been through much transformation within the three years in Polytechnic. And the experiences that I will tell you in blogs to come have altered my life dramatically. I have travelled and climbed and want to do it more. Its like a craving, like an addiction. It never stops until you are actually doing it. I need it. There was something that was still missing. Something in my heart felt empty. I needed to get out. I needed to climb. That was probably the only thing that could fill my heart and Climbing was the missing piece in my puzzle.